It’s all a load of nonsense, of course, and easily dealt with on all counts. Now, to be fair, the above three statements, under certain circumstances, could be considered true, but only if you refuse to look at the entire forest of health and nutrition and focus exclusively on the individual trees. The problem is that at that level, you’re so far removed from what constitutes overall health that any conclusions you reach are meaningless. So, why are we talking about detoxing today? Surprisingly, it involves a study published at the beginning of the year about detoxing that made absolutely no mention of alternative health or supplements of any kind. It was about the use of activated charcoal, an ingredient found in many colon detox products coincidentally, that is also a mainstay in medical emergency protocols for treating cases of poisoning. As it turns out, it was a nutritionist who wrote an article based on this study, also published earlier this year, who decided to switch the study’s concerns about using activated charcoal in medical detoxing to concerns about the use of activated charcoal in alternative health detoxing. And then, out of nowhere, the press picked that article up a few weeks ago and turned it into a trending Google topic. Not a joke. That’s really what happened. Anyway, let’s look at this quite reasonable study that for no reason related to the study itself ended up throwing the mainstream media into such a tizzy. In fact, this was not really a “study” at all but an observational analysis. 1Jason Silberman, Alan Taylor. “Activated Charcoal.” StatPerarls Last Update: January 23, 2018. https://www.ncbi.nlm.nih.gov/books/NBK482294/ And, as I mentioned, it’s not even new but was last updated back in January of 2018. Even more curious is the fact that, as I also mentioned, it’s quite reasonable. I have no problems with its analysis or its conclusions. As we will see in a moment, they are all perfectly rational and have not a disparaging word against holistic detoxing. All the problems lie with the nutritionist who wrote the article misrepresenting the study back in June and with the online doctors and media who have subsequently chosen to parrot the twisting without ever actually looking at the original study/analysis. With that in mind, let’s look at what the analysis says. Then we’ll examine how it’s been twisted. Now let’s explore the key points in each of those sections—and remember, there isn’t a single word in the study about alternative health detoxing, colon detoxing, or anything about supplements of nutrients. This is very important to remember. The analysis begins by talking about when activated charcoal (AC) should be used as part of a medical protocol. Activated charcoal adsorbs or grabs onto xenobiotics within the gastrointestinal tract due to hydrogen bonding, ion-ion forces, and van der Waals forces. The AC/xenobiotic complex prevents systemic absorption or soaking up and transport of that xenobiotic into the bloodstream. AC only adsorbs xenobiotics that are in the dissolved liquid phase via direct contact. Orally administered AC is not absorbed through the gastrointestinal lumen and acts within the gastrointestinal (GI) tract in its unchanged form. Most xenobiotics will have decreased systemic absorption in the presence of AC, including acetaminophen, aspirin, barbiturates, tricyclic antidepressants, theophylline, phenytoin, and a majority of inorganic and organic materials. It is important to note that AC does not effectively adsorb alcohols, metals such as iron and lithium, electrolytes such as magnesium, potassium, or sodium, and acids or alkalis due to the polarity of these substances. Or to look at it another way, this is scientific confirmation that activated charcoal works in colon detox formulas to remove both drug residues and many toxins in the colon and in the colon wall. AC, however, does not pass through the colon wall and enter the bloodstream. It only works in the colon. AC should be administered when a xenobiotic is believed to still be in the gastrointestinal tract and when the benefits of preventing absorption of the xenobiotic are assumed to outweigh the risks of AC. Multiple-dose activated charcoal (MDAC) is used to prevent ongoing absorption of drug remaining within the GI tract. MDAC is believed to be beneficial for “potentially life-threatening” ingestions of the following substances: carbamazepine, dapsone, phenobarbital, quinidine, theophylline, amitriptyline, dextropropoxyphene, digitoxin, digoxin, disopyramide, nadolol, phenylbutazone, phenytoin piroxicam, sotalol, amiodarone, dosulepin, duloxetine, lamotrigine, valproic acid, and verapamil. Note: the analysis specifically mentions the potential for drugs “remaining within the GI tract.” Now, while the study is focused on pharmaceutical drugs, the simple fact is that we are constantly exposed to drugs, xenoestrogens, and toxins every single day in our food and water supply. Yes, the levels for most people are too low to be immediately life threatening but are nevertheless substantial enough to be a long-term health risk. Unfortunately, the medical community does not really deal with long-term health consequences, only immediate threats. This is one of the fundamental differences between medical and holistic health practices. AC can cause choking in patients with a depressed level of consciousness. Vomiting can occur if administered too rapidly. And if patients have a depressed level of consciousness, there is a risk of vomit being inhaled into the lungs. AC can cause obstruction of the intestinal tract, or peritonitis, especially if multiple doses are given. Activated charcoal decreases the absorption of some drugs. To consult your doctor if you are on any medications. And to not take AC with food or drugs—but a minimum of 30 minutes before or one hour after ingesting the same. In other words, reduced absorption of nutrients or prescribed pharmaceutical drugs is a non-issue in most detox programs. MDAC is relatively contraindicated if decreased peristalsis is likely to occur from the substance ingested (opioids or anticholinergics). If MDAC is given to these patients, they should be monitored closely for development of obstruction, or potential aspiration. Once again, all the concerns are related to medical issues that would not be a concern for anyone not suffering from a severe medical condition and under a doctor’s care. And, as mentioned, medical patients are advised to check with their doctor before doing a colon detox. The analysis states that no significant toxicity from activated charcoal exists as it is not systemically absorbed; however, adverse effects from the administration as listed above such as emesis, aspiration, and bowel obstruction requiring manual, or surgical decompression can occur. Again, these are medical issues. End of story. The analysis has nothing to do with the use of activated charcoal in alternative-health, colon-cleansing programs. And despite claims to the contrary in many of the newspaper stories that have appeared in the last few weeks, there was not a single mention in the study of activated charcoal binding with vitamins and antioxidants. Follow the link to the article if you want and search on those terms. You won’t find them. So, How Did the Media End Up Twisting this Story? You don’t really need to go much beyond the headlines to get a feel for where they went with the story. But to really understand the level of bias we’re talking about, let’s focus on the CNN story,5 Sophie Medlin, The Conversation. “Four reasons to skip an activated charcoal ‘detox’.” CNN. June 22, 2018. (Accessed 23 Oct 2018.) https://www.cnn.com/2018/06/22/health/activated-charcoal-partner/index.html which like the IFL Science story was based, as I mentioned at the top of this article, on Sophie Medlin’s commentary on the Activated Charcoal analysis we discussed above. Incidentally, Ms. Medlin is a Lecturer in Nutrition and Dietetics, King’s College London. So, let’s look at CNN’s publication of Ms. Medlin’s article. To be clean, we’ll quote from it word for word and then comment on each section as we go along. “On her Goop website, Gwyneth Paltrow claimed that charcoal lemonade was one of the “best juice cleansers”. That was in 2014. Today, charcoal products — from croissants to capsules — are everywhere. Even high street coffee chains have taken to selling charcoal “shots”. The article goes right for the throat in its opening statement by referencing Gwyneth Paltrow and her Goop website, a favorite focus for derision in the medical community. But as we will see in a bit, not justified in this case. As for charcoal products appearing everywhere, we’ll explore that in more detail at the end of our newsletter. “It’s easy to see where the claim that activated charcoal can detoxify the body comes from: it is used in emergency medicine to reduce the toxic load when someone has consumed poison or overdosed on medication. Charcoal binds to poison in the gastrointestinal tract and stops it from being absorbed into the bloodstream. The toxins are then passed out of the body in the stool. Well, that might be pretty damning except that it does a 180 with the facts. Activated charcoal was used for detoxing by alternative healers for centuries before the medical community noticed its value and began using it themselves. To be clear, the medical community learned about activated charcoal’s detoxing abilities from the alternative health community—not the other way around. So, this is not “another case” of non-scientific nutritionists appropriating a medical protocol. It is another case of the medical community appropriating an alternative health protocol and claiming it as their own. Can you say “probiotics” or “the need for dietary fiber” or “avoiding trans fats” as just a few other examples? “Although consuming activated charcoal may seem like a harmless health trend, there are several reasons you should avoid these products. Well, yeah, except for the fact that any reasonable alternative health practitioner says that you need to take activated charcoal BETWEEN meals. So, absorbing vitamins and minerals from the meals you eat is non-issue. Also, and more importantly, activated charcoal should be consumed as part of a limited time detox program. It should not be used as a long-term, daily supplement. Again, duh!! Of course, that’s how it works! That’s why we have other cleanses such as blood, liver, kidney, and heavy metal detoxes to remove toxins that have passed into your bloodstream and soft tissue. And no, it doesn’t help with alcohol detoxing or kebabs. But it does help with toxic drug residues, and that’s huge!! Ooh, black stools!! That’s certainly a deal breaker. One would assume that you shouldn’t eat beets as well since they make for red stools, not to mention changing the color of your urine. But seriously, that’s why, when using activated charcoal, you either take it along with a colon activating formula to keep your bowel moving while detoxing or limit the amount you take each day so that it doesn’t slow down your colon. The article then goes on to talk about the claims that AC can reduce gas and bloating as being unproven—or more precisely producing mixed results in studies. Big deal. 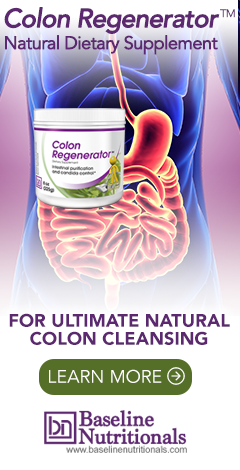 Most good colon detox formulas include carminative herbs which do, in fact, reduce gas and bloating. As It happens, this position is categorically false and is the result of either willful ignorance or out-and-out lying. There are dozens of examples I could give to refute it, but let’s keep it simple. Here are three that clearly make the point. The Toxic Nation study was conducted by Environmental Defense (in Canada) to serve as a representative sampling and a wake-up call. Children, as young as 10, were found to have excessive chemicals in their bodies (i.e. stain repellents, flame retardants, heavy metals, organophosphates, insecticide metabolites and polycyclic aromatic hydrocarbons) even when raised by health-conscious parents. The bottom line is that the study found that even if you try and live a pure organic lifestyle, some toxins are inescapable — even for children raised on organic food and living in a ‘clean’ environment. And those toxins remain in your body. Then there’s the issue of pharmaceutical drugs in our water supply. During 1999-2000, the U.S. Geological Survey conducted the first nationwide investigation of the presence of pharmaceuticals, hormones and other organic contaminants in over one hundred streams in some thirty states. Ninety-five contaminants were targeted including antibiotics, prescription and nonprescription drugs, steroids, and hormones. Eighty-two contaminants were found in at least one sample. Eighty percent of the streams tested positive for one or more contaminants. Seventy-five percent tested positive for two or more contaminants. Thirteen percent contained an astounding twenty or more targeted contaminants. Since then, those results have been confirmed again and again. It should be noted that there is no widespread treatment used by municipal water treatment plants that removes these contaminants. Once these drugs enter the water supply, you end up drinking them unless you remove them yourself at your house. According to a study published this July in the BMJ: since 2009, a growing number of Americans have died from liver disease and liver cancer.8 Elliot B Tapper, Neehar D Parikh. “Mortality due to cirrhosis and liver cancer in the United States, 1999-2016: observational study.” BMJ 2018; 362: k2817 (Published 18 Jul 2018). https://www.bmj.com/content/bmj/362/bmj.k2817.full.pdf While young people are dying from alcohol-related cirrhosis, older people are dying from liver cancer and non-alcoholic fatty liver disease. Between 1999 and 2016, deaths from cirrhosis increased by 65 percent (from about 20,600 in 1999 to nearly 34,200 in 2016). Deaths from liver cancer doubled (from more than 5,100 to nearly 11,100) during the same period. A report from the U.S. Centers for Disease Control and Prevention released around the same time echoed these findings.9 Jiaquan Xu, M.D. “Trends in Liver Cancer Mortality Among Adults Aged 25 and Over in the United States, 2000–2016.” CDC: NCHS Data Brief No. 314, July 2018. https://www.cdc.gov/nchs/products/databriefs/db314.htm Between 2000 and 2016, liver cancer deaths were up 43 percent for men and 40 percent for women aged 25 and older. Bottom line: maybe you do want to consider periodically flushing out your liver. As I mentioned earlier, there is one point that I wanted to revisit at the end of this newsletter: and it is the statement in the CNN article that today, charcoal products — from croissants to capsules — are everywhere. Even high street coffee chains have taken to selling charcoal “shots”. And that statement is 100% true…but also 90% misleading. Let me explain. The implication is that the danger from charcoal comes from the fact that it now appears in so many products that you’re going to suffer from malnutrition (with charcoal sucking the nutrients out of your body) and probably die because it’s either inhibiting the pharmaceutical drugs you’re taking or making you constipated and nauseous, not to mention possibly choking you to death. The reality, though, is somewhat different. Yes, you can find activated charcoal used as an ingredient in everything from toothbrushes10 https://www.amazon.com/Colgate-Charcoal-Toothbrush-Slimmer-Bristles/dp/B07BL5ZK4V?crid=2VE31T32OT078&keywords=charcoal+toothbrush&qid=1540605933&sprefix=charcoal+tooth%2Caps%2C213&sr=8-4-spons&ref=sr_1_4_sspa&psc=1 to toothpaste11 https://www.amazon.com/Activated-Charcoal-Toothpaste-Coconut-Whitening/dp/B07D917Z7Q?keywords=charcoal+toothpaste&qid=1540605998&sr=8-19&ref=sr_1_19 and even ice cream to lattes. But what does that mean? Are you eating your toothbrush? So, that has zero impact on the equation. Are you swallowing your toothpaste? So, who does this? Are you drinking lattes as part of your meals (and no, having it with your morning pastry doesn’t count)? So really, how many nutrients is it adsorbing? And when it comes down to it, how much charcoal is there in a latte? It’s primarily there for color—and of course, so the coffee shop can say they have it. In other words, it’s not adsorbing anything of note. And ice cream is the same deal. It’s not like you’re bringing a pint of charcoal ice cream home to have with your dinner. It’s far more likely that you’re getting a scoop of charcoal ice cream when you visit your local ice cream parlor just because you can. And again, the amount of charcoal in the ice cream is not even close to detox levels. It’s for coloring and for the ice cream parlor’s bragging rights. The bottom line is that, for the most part, all the paranoia about activated charcoal threatening the health and well being of the American public because it’s being used as a minor ingredient in some exotic products is faux hysteria. If there is any concern, it is from the ignorant companies trying to capitalize on real intestinal detoxing by coming out with activated charcoal products that they have no idea how to use or support. Fortunately, most people who are detoxing don’t buy their detox products from fly-by-night companies. They buy from health and nutrition companies they know and trust—companies that have solid reputations and that have been providing quality products that perform as expected for many years. But really, doesn’t the same standard apply when choosing a doctor? Choose badly, and you can end up in serious trouble—far more trouble than you will ever have from eating activated charcoal ice cream.